Hurricane Harvey could be deemed the costliest natural disaster in U.S. history with early estimates totaling $160-B in damage already. 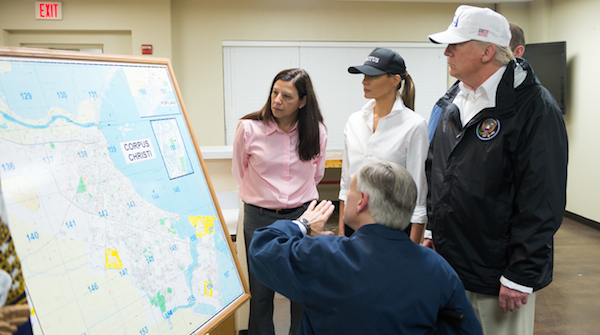 Last Tuesday, President Trump and the First Lady toured the affected Texas areas hit by Hurricane Harvey. The President praised the work being done across the state by government agencies at all levels, including First Responders and private citizens willing to lend a hand to help their fellow American. President Trump is proud to see Americans uniting to help those in need in the wake of this disaster, reminding us that we are all one American family. The entire administration has been working with Texas Governor Greg Abbott and officials across Texas and Louisiana to bring the full resources of the federal government to bear. All of our prayers are with everyone affected by this terrible disaster. Right now, our country is seeing an economic comeback of historic proportions and President Trump is fighting to bring Main Street back by reducing the crushing tax burden on our companies and workers. Our catastrophic tax code costs Americans millions of jobs, trillions of dollars, and billions of hours spent on compliance and paper work. 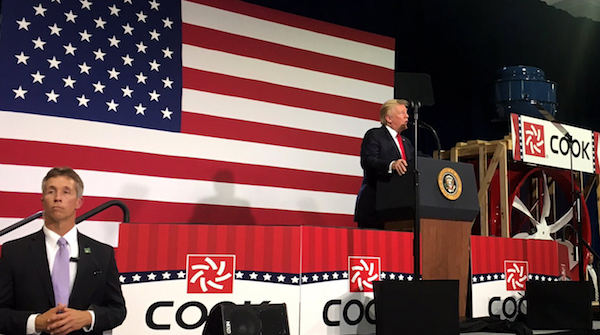 The President’s goal is to fundamentally reform tax code for the first time in more than 30 years and the American people are behind him as like no other issue. In order to do this, President Trump is asking Congress to work together with his administration to create the 21st century tax code that all Americans deserve! Already this year, we have seen the fruits of President Trump’s labor. Just this week, 2nd Quarter GDP was revised to a remarkable 3%. If the President’s mission to deregulate our country has this much impact already, imagine what can be accomplished with historic new tax cuts and simpler tax code. If we unite in the name of common sense and common good, then we will add millions of new jobs, bring back trillions of dollars, and we will give America the competitive advantage that it so desperately needs. 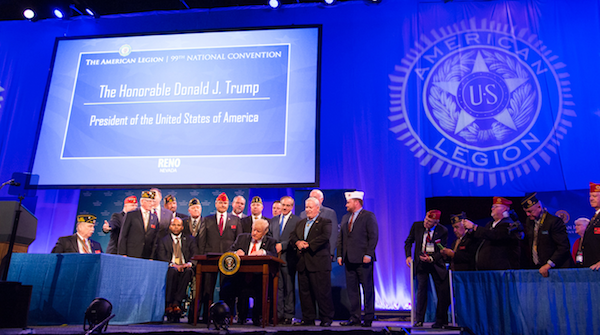 In Reno, Nevada, the President delivered remarks to the American Legion’s 99th National Convention and signed the Veterans Appeals Improvement and Modernization Act of 2017. This legislation will streamline the lengthy process that veterans undergo when appealing their claims for disability benefits with the Veterans Administration (VA). More than 470,000 veterans are still waiting for decisions regarding their appeals, and it is time they stopped having to wait. Veterans across the country should know that businessman Donald Trump will continue to fix Veterans Affairs so they can receive the benefits and care they deserve thanks to their loyal and selfless service to America. 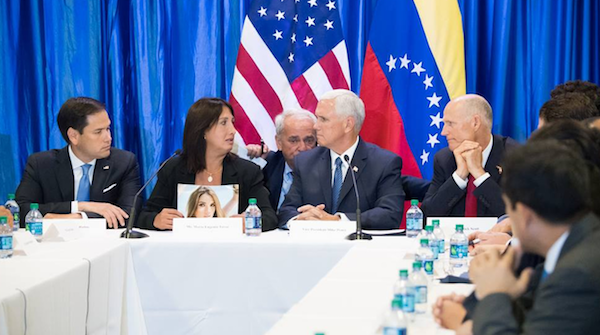 Vice President Pence met with Governor Rick Scott, Senator Marco Rubio, and Congressman Mario Diaz-Balart, as well as Venezuelan families discussing with them the tragic stories coming out of Venezuela. Stories of grinding poverty, families unable to find the food and medicine they need, and innocent children who are perishing every day from starvation in a country in turmoil. President Trump followed up by signing an Executive Order imposing strong, new financial sanctions on Venezuela. The Maduro dictatorship continues to deprive the Venezuelan people of food and medicine, imprison his democratically-elected opposition, and violently suppress freedom of speech in his country. The President has made it clear that we will not stand by as Venezuela crumbles. He is calling on Venezuela to restore democracy, hold free and fair elections, release all political prisoners immediately, and end the repression of the Venezuelan people. We continue to stand with the people of Venezuela during these trying times. Early this week, North Korea launched a missile over Japan in their latest ballistic missile test. As you know, prior tests already earned Kim Jong Un significant new sanctions on his country, adding to the suffering of his own people. The world has received North Korea’s latest message loud and clear: this regime has signaled its contempt for its neighbors, for all members of the United Nations, and for all peace-seeking nations. 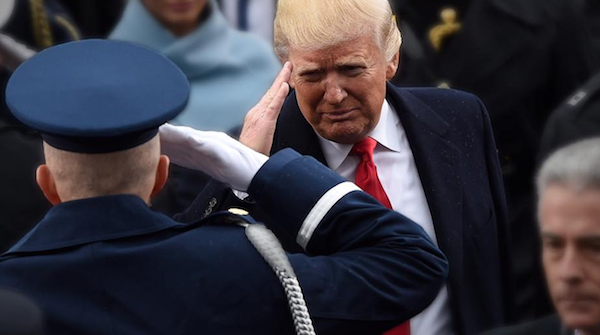 Americans are relieved to have a President whose leadership and strength will lead to a more peaceful world without fear of intimidation or attack from those who reject the freedoms and liberty he will defend for us and our allies in the world.